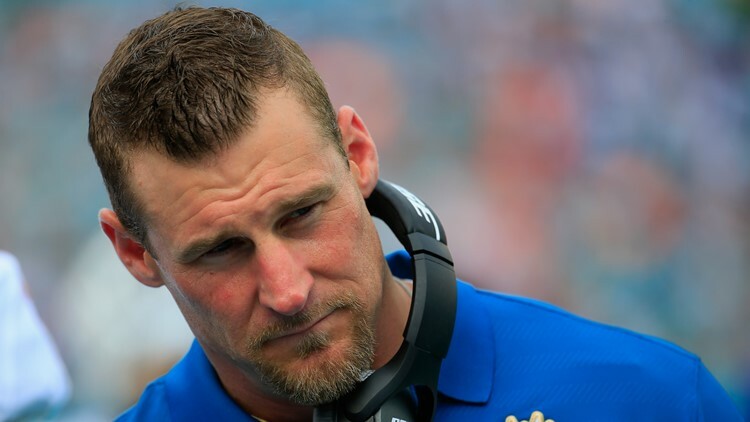 CLEVELAND -- The Cleveland Browns’ search committee continued their work looking for the next full-time head coach, and the process continued Friday when New Orleans Saints assistant head coach/tight ends coach Dan Campbell was brought in for an interview. As a player, Campbell played in 114 games, made 75 starts and was on the receiving end of 91 passes, which he turned into 934 yards and 11 touchdowns over his 11 seasons. 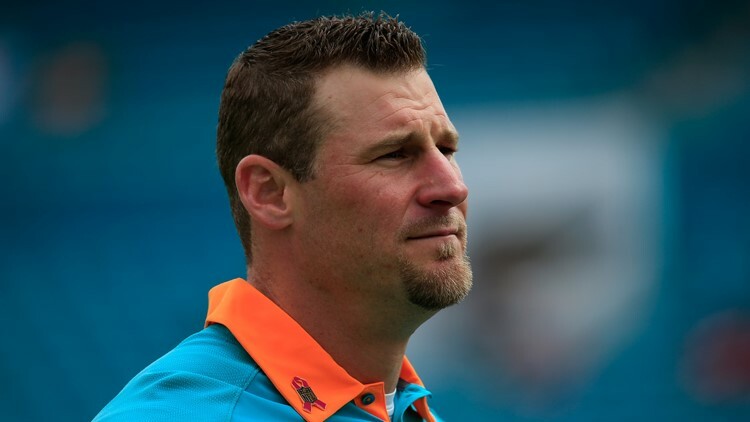 Miami Dolphins interim coach Dan Campbell looks on prior to a game against the Houston Texans at Sun Life Stadium in Miami Gardens, Florida on October 25, 2015. Under Campbell’s guidance, the Dolphins drastically improved their run game, moving up eight spots in the NFL rankings for rushing yards per game. Lamar Miller gained 741 of his 872 yards running the ball and all eight of his rushing touchdowns. 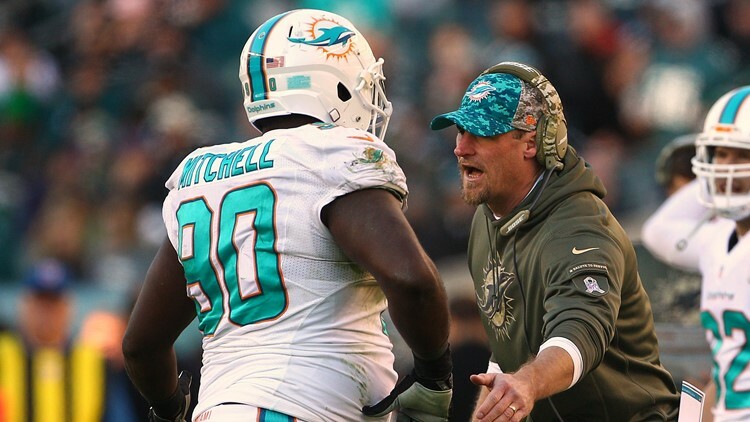 Miami Dolphins interim coach Dan Campbell congratulates Earl Mitchell (90) during the third quarter of their game against the Philadelphia Eagles at Lincoln Financial Field in Philadelphia, Pennsylvania on November 15, 2015. Since joining the Saints, Campbell has made the tight ends a key component of New Orleans’ high-octane offense. Williams interviewed for the full-time opening on Tuesday, and Caldwell followed on Wednesday. Stefanski’s interview was moved up to Thursday after reportedly being scheduled for next week.